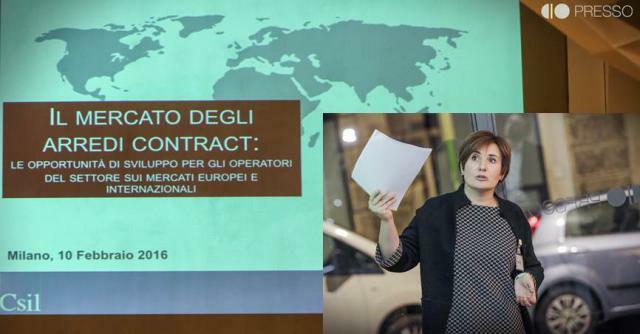 CONT(R)ACT - RELATIONSHIP FOR (Y)OUR BUSINESS is a business networking format for architects and companies presented on February 10 in Milan. 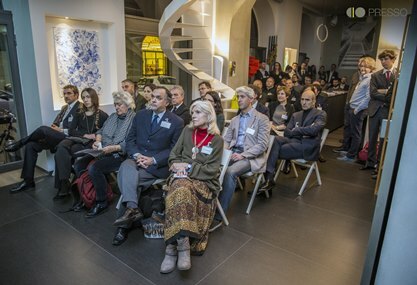 The meeting was held at the PRESSO store in Milan/Porta Nuova, with the participation of several design firms, entrepreneurs, managers and communication professionals working in the field of the Italian and the international Contract market. The project benefits from the presence of a group of companies partners of PRESSO representing this sector industry: Artemide, B ticino, Dornbracht, Cappellini, Erco, Fontanot, MK Cucine, Okite and Restende. Participants followed with great interest both the speech of Sara Colautti, Industry Studies Director at CSIL, presenting an analysis of the European and world scenario of the Contract market, with a focus on trends by geographic area and by main sectors, and the speech of Stefano Daelli, Strategy & Content Director Market Revolution Futureberry of Milan, which offered an inspiring picture of future trends in lifestyles and perspectives of living related to the deep changes taking place in our society. Media partner of the event is the magazine Divisione Contract, published by WebandMagazine. In his presentation Claudio Garosci, Co-founder of PRESSO and promoter of the initiative, pointed out that the pilot meeting of February 10 is a launch of a business networking project to create a direct relationship between companies and design studios, hence actors playing in the world of Contract market taking benefits and incentives for their activities from the mutual share of knowledge and expertise. A tasty dinner prepared by the star-chef Tommaso Arrigoni was served at the end of the session being itself a moment of intense networking and exchange of business cards and information among the participants. The sixth edition of CSIL report “The Contract Furniture and Furnishings Market in Europe”, to be published in March 2016, offers an accurate comprehensive picture of the European furniture market, providing trends and estimates of the Contract furniture sector.